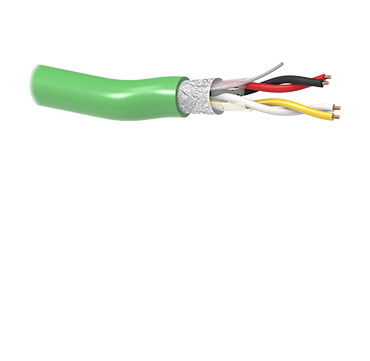 -	9900014: 4 wires cable (Red, Black, Yellow & White) whose operating voltage is 300 V. Green cover. 300 meters. -	9900013: 2 wires cable (Red & Black) whose operating voltage is 300 V. Green cover. 400 meters.